I did not realise this is coming out next week! Might have to fire the Xbox back up soon. After I finish Spiderman and then play rdr 2 and the 200000000000 other games coming out. Jesus this is out tomorrow too? Good lord, although this one I’m happy to wait for a sale. Although being a Windows store game, do they do sales? What I heard of it wasn’t too good though. Massive downgrade on the destruction and otherwise it looks fairly average too. 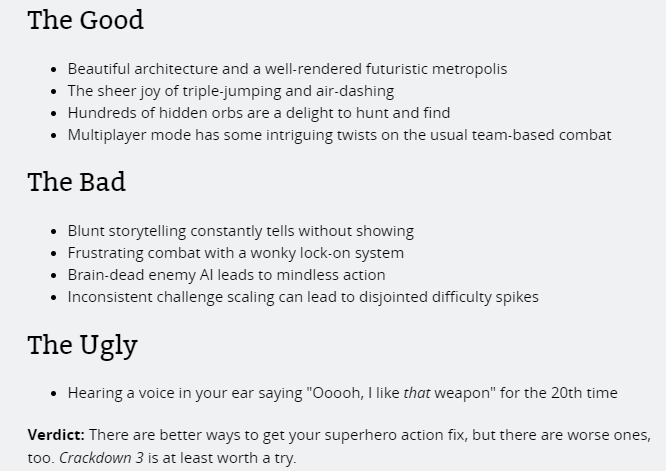 Leaping around an enticing metropolis can't make up for flat combat, dumb enemies. 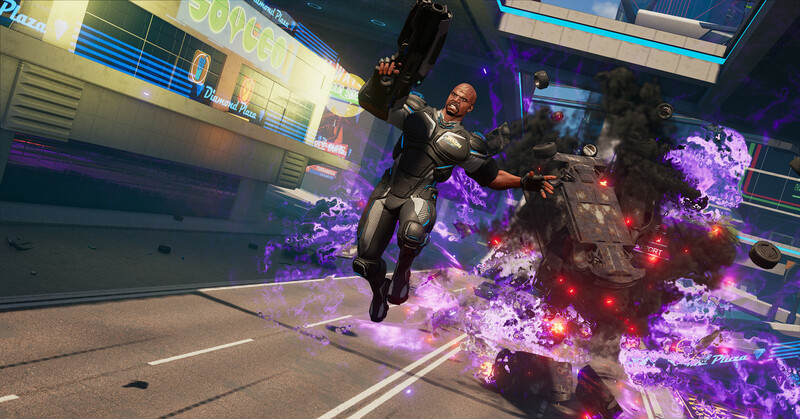 plays like crackdown 1 an old game feels stuck in the past the even tho im playing as terry crews none of he’s personality is coming though it’s a damn shame.